We believe we are the SEO Agency Oxford needs. 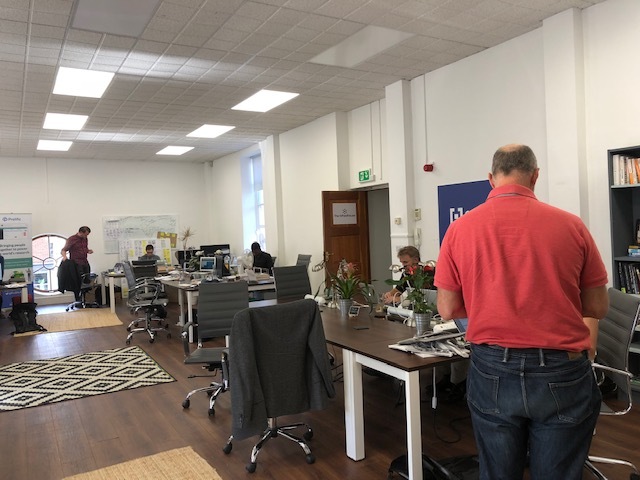 When we opened our third office, we had the express intention of extending our offer to provide an SEO Agency in Oxford. This supplemented our existing services in London and in Surrey. The problem with SEO agencies is that SEO means many different things to them. Clients often find this very confusing. At the lowest end we see some companies who produce a report of keywords and where the client ranks for them. We wouldn’t call that SEO because nothing is optimised. Keyword research is certainly useful but on its own it delivers nothing. The skills for SEO include copywriting as well, but without looking at the code and Keywords it will also fail to deliver increased traffic to clients. We are sure that everyone has had the emails promising lots of links as well. The problem is that links alone will not create a link profile. That needs skill and careful tailoring. Most agencies offer one or two aspects of SEO, and they probably do that very well. The problem is that unless you work across all the different skills, then you will never see your traffic increase. The reason we get better results is because we work across more ranking factors. Why is Be Different’s SEO Service better? We cover every aspect of Search Engine Optimisation. This includes both On-page and Off-page techniques. That doesn’t make us unique in the marketplace but it does place us in a small minority of suppliers. It is only when you do cover all aspects that you see results that make a genuine difference. The effect is compounded and your visibility online increases exponentially from it. Traffic also increases with it. We are results focused and have a proven track record of success for our clients in highly competitive markets. Our SEO Services split into four distinct tasks and we work our way through each in order to deliver some truly stunning results. We provide all of these at an expert level but what really makes us different is how our technical knowledge of code brings it all together. This presents a page that search engines can index easily, with all the right signals. What results do we get from our SEO Services? We achieved an average increase in traffic of 1,320% for one client by increasing the user sessions. Our SEO work directly attributed to a £836,000 increase in additional profit for another client. The average Return on Investment for our clients is £20 for every £1 they spend with us. The average traffic increase across all our clients is 599%. The results we achieve for our clients really do make us stand out from the crowd. We are passionate about reporting and analysis. We therefore closely monitor all results as they happen and provide in depth reports. Many clients see an immediate difference in the level of service they receive from us compared to competitors. Our clients typically operate in highly competitive markets. This makes our results even more impressive, because they are hard fought and hard won. We go up against leading national and international competitors on behalf of our clients. Many competitors are larger than our clients, but we achieve the top listings for high traffic, highly relevant terms. We think this makes us the best SEO Agency Oxford has. we can provide you with a full free SEO analysis of your website. Unlike some automated tools you might have seen online elsewhere, this includes analysis by our experts. Consequently it is detailed and specific to you. Therefore it is a valuable document. Simply enter your details into the form below and find out where you can make improvements to your visibility online. Email address that the report should be sent to. The email address should match the domain you wish to analyse. We are only able to supply you with analysis of a site you own. Therefore your email address and the URL of the site you wish to analyse should match. We are unable to supply analysis For email addresses that do not match the URL request. The business telephone number that we can contact you on. Requests with incorrect telephone numbers will be considered SPAM requests and ignored. The URL of the website you wish to analyse. This should match the domain of the email you entered above. Please note the https prefix, and edit this if your site still uses http. The more you can tell us about what you would like to achieve, the better we can tailor the information for you. Think about the amount of traffic you have, and how much you would like to see this increase, as well as how this will increase sales. Think in terms of percentages as well as actual values. Maybe you want to benchmark yourself against a competitor. If so, then tell us and we can add this to your report. We help many of our clients with SEO including Polar Electro UK, and Into The Blue. Oxford is the home of learning, and Search is a subject that is constantly evolving. We look for agile minds with a genuine thirst for testing new techniques in order to produce the best results. The internet has changed the way that people access information, and there are many people who simply do not want to live and work in London anymore. We give our team a choice and there is a ready supply of highly intelligent individuals who look for this opportunity. 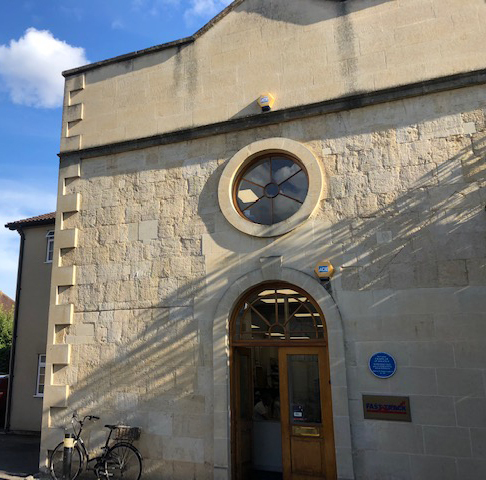 Our office is in St Clements which is in the city centre, within minutes of Magdalen Bridge and set amongst the Dreaming Spires. Within a few yards you can experience a river punt, or a fine meal and pint in one of the historical pubs. Lunchtime and evenings provide a choice of many concerts and performances. It provides one of the best work/life balances possible and attracts people from the top universities in the World. All this adds up to a dedicated and highly skilled team that provide our clients with the best SEO Services possible. What other services do we offer from our Oxford Office? In addition to our Oxford SEO Services, we also offer Paid Search through our Pay Per Click services, Usability and Accessibility and web design & development. We were the first agency in the UK to measure the effect of PPC and SEO together. We call this the Search Media Multiplier. Consequently we strongly advocate that Search should be viewed holistically, not as two separate silos. As a home for an SEO Agency Oxford is the perfect choice. Consequently we look forward to helping you build traffic for your website.